Best known today for a line that didn’t appear in its final written draft, the speech the Rev. Martin Luther King Jr. delivered 50 years ago this week at the March on Washington has joined Lincoln’s Gettysburg Address as among the nation’s iconic texts. A black British journalist now living in Chicago, Gary Younge devotes this slim but powerful book to exploring the speech from a variety of perspectives. The march itself, brainchild of labor leader A. Philip Randolph and creation of the “eccentric, hyperactive, and efficient” Bayard Rustin (officially sidelined due to his inconvenient politics and personal life), was even better attended than its organizers had hoped and much more peaceful than critics had warned. Yet it was King’s speech that America remembers. What does the plight of alleged witches hanged in Salem have in common with the generic townspeople transformed by extraterrestrial pods in the 1950s sci-fi thriller “Invasion of the Body Snatchers”? According to author Jesse Walker, both stories demonstrate an enduring American tendency toward one of our “primal conspiracy myths,” which he dubs the enemy within — “the suspicion that anyone you encounter, even your own spouse or parent or child, might secretly be something else.” It’s a terrifying idea, and as Walker’s immensely entertaining new book points out, the fact that it’s nearly never true doesn’t mean it’s harmless. Paranoia’s dangerous offspring include impulsive murders, persecution of the innocent, and bad public policy. A staff writer at the libertarian magazine Reason, Walker reaches, at times uncomfortably, to score iconoclastic political points (he implies repeatedly that the FBI has investigated right-wing and left-wing groups similarly, an opinion not shared by most historians). He’s better suited to probing those strange beliefs that disrupt our typical political and social binaries — the way 9/11 truthers hail from both far right and far left, for instance. 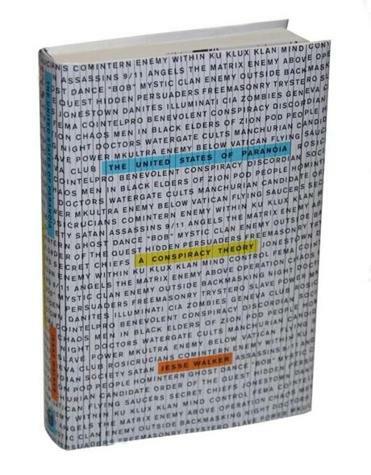 And a section in which Walker describes “the ironic style of American conspiracism, a sensibility that treats alleged cabals not as intrigues to be exposed or as lies to be debunked but as a mutant mythos to be mined for metaphors, laughs, and social insights” is a perfect mirror reflecting where and who we are (and how we got this way). Half a century after the Sputnik crisis, America is once again alarmed at the performance of our schoolchildren when compared with their international peers. Journalist Amanda Ripley followed three American high school students as they studied abroad — in two countries that consistently top the rankings (Finland and Korea), and one nation that has dramatically improved its outcomes despite entrenched poverty (Poland) — to see whether they had any lessons for us. What she found, especially in Finland and Korea, sounds simple: They seem to care more than we do (though with often distressing effects in Korea, where a culture of private tutoring has exploded into a massive industry). Respect for educational rigor, Ripley writes, “meant everyone took school more seriously, especially kids.” Public high schools in these countries emphasize academics, not athletics; they stress hard work and results, not giftedness or talent or self-esteem. In Finland especially, the teaching profession is well paid, prestigious, and difficult to enter. One key difference: In all the highest-achieving countries, Ripley writes, “spending on education was tied to need,” with the poorest areas getting the most resources — the opposite of how American public education is funded. Perhaps unsurprisingly, the book jumps about both chronologically and thematically — in addition to chronicling her suicide attempt, the author also muses on her relationship with Iran, her legal education, her growing activism as a Muslim-American — but Moezzi’s fierce honesty and comic self-deprecation bind it together winningly. Kate Tuttle, a writer and editor, can be reached at kate.tuttle@gmail .com.